Open provide a totally transparent and secure method of planning your funeral. 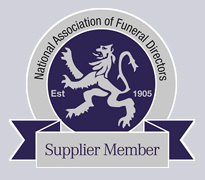 We are committed to the provision of your funeral through your chosen Funeral Director. The cost of a funeral over the last decade has outstripped inflation mainly due to the rising fees for doctors, crematoria and clergy. By prepaying for your funeral you can secure today's prices for your future requirement. A Prepaid funeral is the simplest, most caring and most practical way to remove the financial and emotional worry and responsibility that unexpected funeral arrangements can bring.